To improve cybersecurity in the U.S., a whole of government approach isn’t enough – the nation needs a “whole of society” approach to cybersecurity, said Homeland Secretary Kirstjen Nielsen during a speech hosted by Auburn University yesterday. Previewing the department’s strategic plan that is set to be released in the near future, Nielsen highlighted the shift to cyber threats against the homeland, and the broadening of targets for nation-state adversaries. “The idea that we can prevail with so-called whole-of-government efforts is now an outdated concept – it’s not enough. We need a whole of society approach to overcome today’s threats,” said Nielsen. “Why? Because it’s not just U.S. troops and government agents on the front lines anymore. It’s U.S. companies, it’s our schools and gathering places, it’s ordinary, everyday Americans,” she added. Nielsen noted that the new approach in the Federal Cybersecurity Strategy to defend forward has made an impact in imposing costs on adversaries in cyberspace. Still, Nielsen warned against threats against American security, and foreshadowed harsher attacks from adversaries. 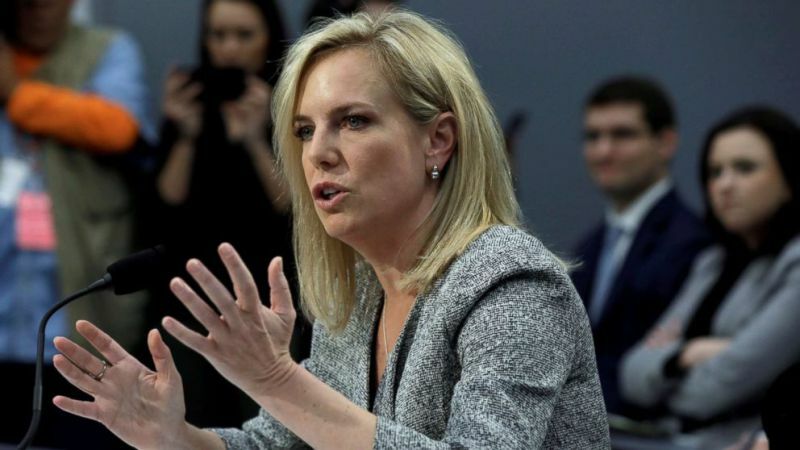 Among DHS’ successes, Nielsen cited the National Risk Management Center and the effort to define national critical functions, the success in defending the 2018 election from interference, and retiring the jokes about NPPD as Congress approved the Cybersecurity and Infrastructure Security Agency (CISA). Nielsen also announced that DHS would be moving to its new campus in Southeast Washington D.C. next month.